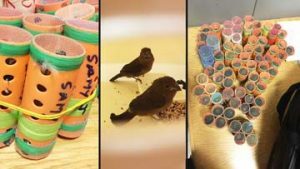 Persons have been smuggling finches to the US for years now. It is hard to detect in those hair curlers. The birds are fed stuff to make them sleep. The birds have a ready market for owners who “race” them (whistling competition) with at least US$5,000.